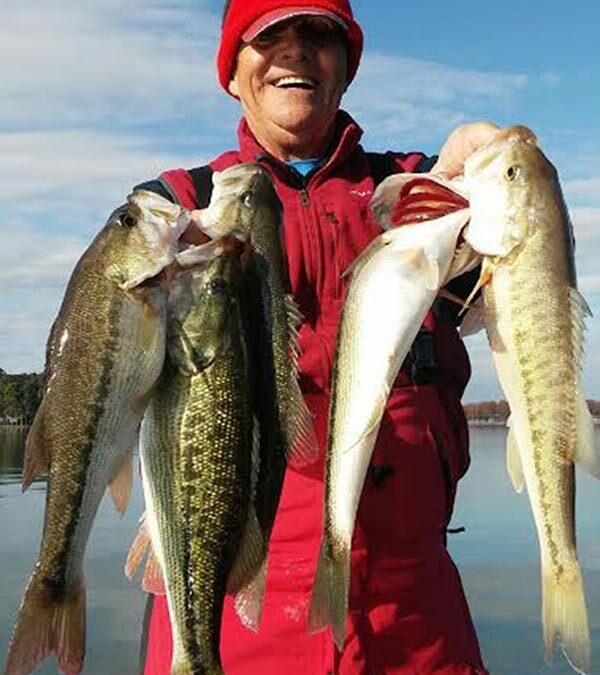 Lake Norman Fishing Report - 04-02-2019 - Fishing with Gus! April and May are the peak months to catch spotted and largemouth bass. During this period bass will either be in pre-spawn, spawning or post spawn mode. Therefore all one has to do is cast into one of the many spawning coves that dot lake Norman to a catch stringer of bass. Best lures are soft plastics, jerk baits, top water and a variety of crank baits. Hybrid striped bass will be up river and in and around the hot water discharges at Marshall and McGuire Power Stations. Crappie a popular panfish will be found near laydowns (up-rooted trees lying in the water), in stump fields, adjacent to sunken brush piles or under boat houses/and docks. Best baits are crappie jigs and small minnows. If its family fishing fun you are looking for; fish minnows suspended under a float. The Lake Norman crappie creel limit is; twenty measuring a minimum of eight inches each. Those who want to catch catfish will find plenty of three to ten pounders in the same back coves bass are spawning in. Best baits are chicken parts, cut fresh dead bream, perch, shad and herring along with a variety of store bought stink baits. Before you hit the lake check to see if your fishing license is current. If not you go to: www.NCwildlife.org to renew or purchase for the first time.